We all want bigger screens for increased impact because larger TV screens, like high-quality 5.1- or 7.1-channel surround sound systems, pull us into the movie action or TV show's story line just the way big movie theater screens and sound systems do. 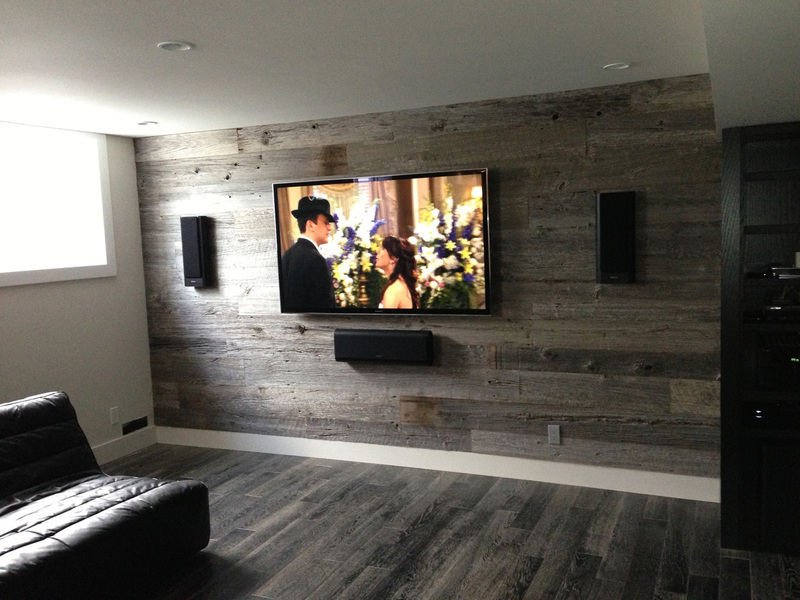 But a too-large TV can really overpower a room. To get the right big-screen TV for your needs, you'll need to consider screen size, the display technology, your budget, seating distance and viewing preferences. Your viewing distance and screen size will determine picture clarity and detail as well as the quality of the viewing experience. If all you watch are true HDTV images, then you can sit as close as twice the diagonal screen size-- about 8 feet away for a 46-inch or a 50-inch diagonal screen. But sitting that close may not be practical for some of your viewing, because lots of TV channels are not yet in high-definition and those images may look fairly crummy up close. If you watch regular non-HDTV too close to a big screen, you'll see all the flaws. Figure on three times the diagonal screen size as a minimum viewing distance. So if you want a 60-inch diagonal screen, you should be 15 feet away to watch standard non high-definition TV and still be pleased with the picture. For HDTV or DVDs, the picture will be fantastic at that distance; you could even move your chair up closer, to perhaps 10 feet. 2. Plasma or LCD Flat Panel? Those very cool plasma and LCD flat panels that are only an inch thick are alluring, but keep your budget in mind because the bigger the screen, the higher the price. Fortunately for consumers, plasma and LCD flat panels have dropped dramatically in price. An excellent plasma 50-inch flat panel from Samsung or Panasonic that would have cost $5,000 five years ago now retails for $1300 to $1700US, even less if youre willing to get a 720p set (see below). Flat-panel TVs now dominate the market with hardly any rear-projections sets made anymore. If you find one, you may still get a bargain big-screen TV for $1000 or less but it wont be an inch thick. Rear-projection sets are at least 12 inches deep and occupy a lot more space, but you still get a bright, stunningly good HD picture  minus the ultra-cool flat-panel appeal, of course. It used to be that plasmas used a lot more electricity than LCD displays, but with new models, the power consumption is comparable. Which to get? Plasmas tend to have better blacks and can be viewed at any angle with no loss of contrast or color rendition. Plasmas also display fast-action sports and movement with no blurring. LCD panels have improved a lot and are capable of brighter high-contrast pictures than plasmas in rooms with daylight if thats a factor for you. However, LCD panels lose contrast and color depth when viewed from an angle and some have problems with blurring of fast-moving horizontal motion. New LCD sets have 120-Hz or greater refresh rates to reduce the blurring problem. These numbers indicate the amount of clarity or fine detail (called native resolution) that a high-definition set can display. The 1080p sets will deliver the sharpest picture and finest detail when viewed up close or with larger screen sizes50 inches or bigger. Both 720p and 1080p screens are high-definition, but if you want a 50-inch or bigger screen, look at the 1080p sets. For screens smaller than 50 inches diagonal, youll see little or no difference in 720p or 1080p displays, and you can save up to $500 going with a 720p display. 4. Can You Live With Front Projection? The impact of a huge movie-theater-like widescreen image 8 or 10 feet wide is undeniable, but using a front projector requires a pitch dark room, or the projected image will looked washed out, with poor blacks and no shadow detail, because the ambient room light falls on the screen. If your room can be totally darkened then a front LCD or DLP projector can be quite affordable and convenient, with stunning picture quality. All DLP or LCD front projectors are fairly compact and come with zoom lenses which, within limits, let you adjust the image size to the screen and viewing distance. Think $2000US for a high-quality 1080p LCD or DLP front projector (720p projectors are less than $1000). With either type of projector, remember to include the cost of a good-quality screen, which may run $500 or more, especially if you want it to electrically descend and roll up. Using the wall for projection purposes is possible with special screen paints like Screen Goo, and there are inexpensive do-it-yourself screen projects that can save a lot of money. Note also that front LCD or DLP projectors use high-intensity projection bulbs that must be replaced every 1500 to 2500 hours of viewing, at a cost of several hundred dollars. Though the widescreen 16:9 aspect ratio (the ratio of the screen's width to its height) is the HDTV standard, and matches most movies on DVD and new HDTV programs, there are still lots of older TV series and news shows shot in the conventional, squarish TV shape of 4:3. On a wide-screen HD set, regular TV 4:3 programs will have large black bars to each side, unless you use the HD sets or cable boxs remote control to stretch or zoom the image, which will extend the edges of the image to fill the wide screen, at the expense of sometimes considerable image distortion. The highest-quality HDTV signals are available from HD satellite dish or HD digital cable services or, if you are within range (30 or 40 miles) of terrestrial digital HDTV over-the-air broadcasts (the latter are free but you usually need a good outdoor antenna on a mast to receive them). With satellite or cable, the satellite receiver or set-top digital cable boxes will receive and decode HD signals as well as standard-def TV stations carried by the cable system. Over-the-air terrestrial HDTV uses the HDTV tuner built in to your HDTV set. High fidelity Dolby Digital 5.1-channel surround sound is part of the new HDTV standard in North America and accompanies virtually all new HDTV series and feature movies, so you will want to upgrade the sound quality to a level that matches the stunning images from HDTV shows and movies. The internal speakers of flat-screen displays are usually tiny and very poor so figure on spending as much on a high-quality surround-sound system as youve budgeted for the HD display. 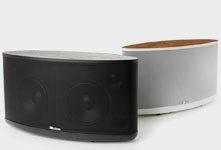 The system will include a subwoofer for deep bass, two front left and right main-channel speakers, a center-channel speaker to anchor dialogue at the TV screen, and two surround speakers that properly should go on the side walls about halfway up the wall, at least 2 or 3 feet above your ear level when seated. You will also need a Dolby Digital/dts 5.1 or 7.1-channel AV surround receiver to decode the 5.1-channel soundtracks from HDTV broadcasts and DVD or Blu-ray disc movies. 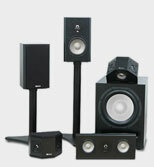 Surround AV receivers start at about $300 or more. 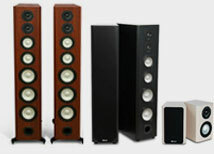 High-quality 5.1-channel speaker systems for medium-size living rooms, such as this Axiom Audio Epic Grand Master system run about $2,000 and up. 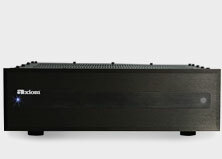 Systems for smaller spaces begin around $1200 (http://www.axiomaudio.com/epicmidi_main.html).